This was another great season in Palo Alto, and the game itself was almost a foregone conclusion. 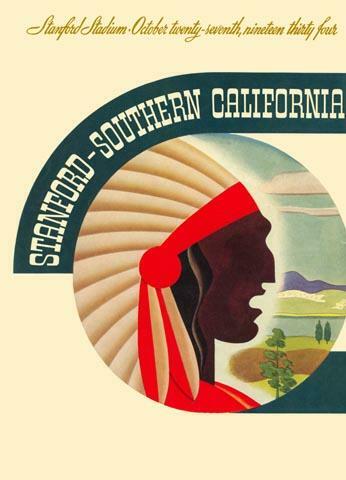 What you see here is the "Stanford" part of the oversized wraparound program cover, which depicted the Trojan on the front. See the Southern Cal display page if you're interested in that image alone.